When you work with Winston’s Removal & Landscaping, we are with you from the beginning of each project through completion to make sure you are completely satisfied. Below you will find some before and after project photos that demonstrate our commitment to excellence. 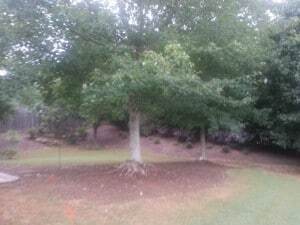 The yard had erosion problems due to all of the trees and lack of sunlight. 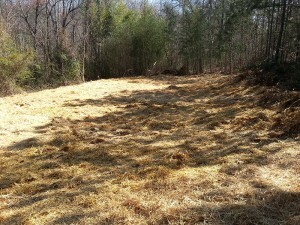 The customers couldn’t get grass to grow and was losing their lawn. 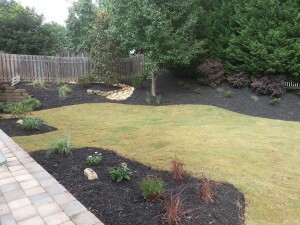 They wanted new plants to help cover the landscape. We removed 5 trees, grinded the stumps and removed all of the roots. Installed a drainage system and riverbeds. Then graded the yard & install Bermuda sod. Spread Black mulch and planted a few small shrubs. The area was really over grown and was a hazard for the neighborhood kids. 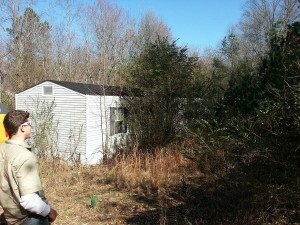 So we came in and demo’d the mobile home and removed all of the debris. Once everything was removed and cleaned we put down seed and wheat straw to put a brand new lawn that can be quickly and easily maintained. The customer wanted an area to play soccer with his kids. There was no flat area or grass, so we removed 10+ trees, an old timber wall and a playground set to clear the space and grade the ground level. 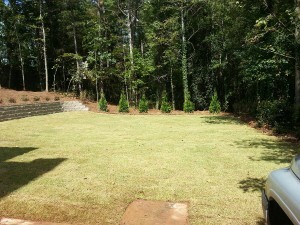 We installed a Diamond 9D block retaining wall and install Zoysia sod. We planted some privacy trees and shrubs around the backyard to create the environment he was looking for his family. 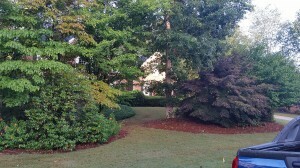 Customer was getting the house ready to sell and needed more curb appeal. 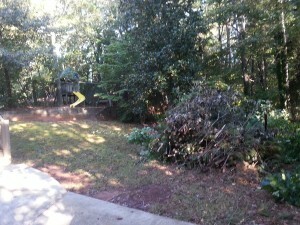 We removed all of the over grown shrubs in front, a few trees and pruned the remaining trees. 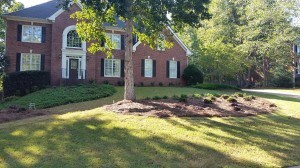 We planted all new plants, installed Bermuda sod, spread pinestraw and trimmed up any branches that were taking away from the view of the house. For additional project photos, please visit our Project Gallery.